Business travelers will appreciate additional modern conveniences like the lobby computer with Internet access, in-room desks, and copy and fax services. All spacious guest rooms are air conditioned and come equipped with hair dryers, coffee makers, refrigerators, irons and ironing boards. Non-smoking rooms are available. 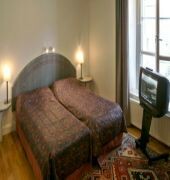 Currency exchange services, bike rentals, and a sauna are all provided on the premises for added guest convenience and enjoyment. 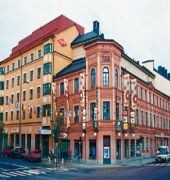 Offering excellent amenities, a central location and affordable rates, the Comfort Hotel Svava is the perfect place to stay on your next trip to Uppsala. Our friendly staff looks forward to your visit.